"Once we arrived at the Pursat railway station we caught a tuk-tuk into town. We negotiated with the driver and hired him until tomorrow morning. 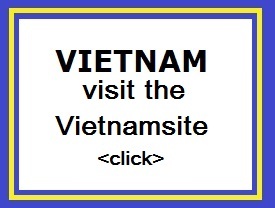 We got him to take us to a hotel and ended up staying at the Phnom Pech Hotel for USD$15/night. Not a bad hotel and on par with most of the places we had stayed at throughout Cambodia. After we had some lunch, we went out to Kompong Luong which is about 40km from Pursat. This is a floating village where its inhabitants are There were several small communities that we came across during the trip.predominantly vietnamese. Just before the village along a dusty track are a number of people living beside the road. Our tuk-tuk created some excitement from the local kids as it made its way down the road." Pursat is the capital of Pursat Province in Cambodia. Its name derived from a type of tree. "The name of Pursat (Po Sat) came from the native word Po Ro Sat, which originated from a legend about a Po tree which floated up the river, germinated and later successfully grew in the province. Later, Po Ro Sat became Po Sat (Pursat) and is now used as the name for the province. Nationally, Pursat province is famous for orange fruit trees, and through its association with region is known as Krauch Po Sat (Pursat orange)". The Pursat River adds beauty to the town, and flows into the Tonle Sap Lake, which cover about 124,635 hectares and appr. 80km in length. The river originates in the Cardamom Mountains, which acts as a high rainfall catchments area. Pursat Province is rapidly gaining popularity in Cambodia as a leading area for eco-tourism. Pursat offers a wide variety of natural resources to explore. Pursat has its own diverse cultural and ethnic lifestyles within the city-center, and the rural and mountainous areas. Pursat province is bordered on the west by Thailand and covers an area of ​​approximately 12,700 km�. 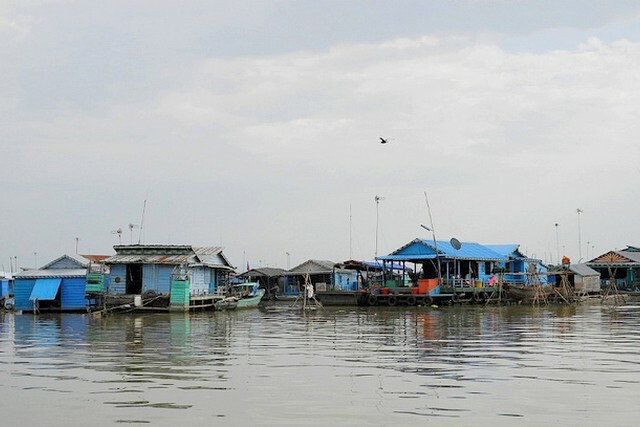 In the east it is bordered by the Tonle Sap Lake. In the the west is the massive Cardamom Mountains that also covers the province of Koh Kong and Kampot. Pursat province is mainly covered by mountainous terrain. Although the province is not home to many ancient temples, the highlight of this province concerns the history of the war between the Siamese and the Khmers that took place just before the French colonial period in Cambodia. The region is accessible by National Highway 5, by boat, rail and by numerous smaller roads. 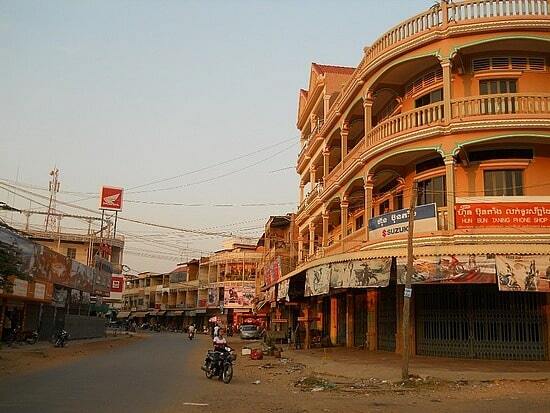 The capital, Pursat town, lies 174 kilometres north west of Phnom Penh by road and 106 kilometres south east of Battambang. The Pursat river adds beauty to the town, and flows into the Tonle Sap Great Lake. An popular historical site is that of the Tomb of Oknha Klang Meung, the Cambodian hero who led the war against the Siamese and defeted them in 1482. The venerable site of Neakta Kliang Meung is an important historical site in Cambodia. It is located in Snam Preah commune, Bakan district, about 6 kilometers south of Pursat provincial town. Animist believers go there to worship at the statue of the guardian spirit Neakta Kliang Meung. This statue was constructed in 1993 to replace an older statue destroyed during the war. The area in front of the statue is a place of worship, while the area behind the statue is where locals gather to play traditional games on Khmer New Year and Pchum Ben festival. Phnom Ba Klas is a natural and cultural site located in Tnaot Chum village, Tnaot Chum commune, Krakor district, about 20 kilometers east of the provincial town. The site affords visitors beautiful scenery and abundant fresh air. The nearby mountains are filled with small fruit trees, especially kuy and sei moan, which are popular among visitors. An old, crumbling pagoda still contains many statues and sculptures. Khmer people still come there to worship. Baktra is a natural site about 16 kilometers south of Pursat provincial town along National Road 56. This site includes a 50-meter-high hill, a forest, a large stone, a stream from which water flows year round, and many natural wells. Fruit trees are abundant, particularly kuy or sei moan. Baktra is also an important place of worship. Kampong Luong is a natural site located on the Tonle Sap in Kampong Luong commune, Krakor district, about 35 kilometers east of Pursat provincial town. The site is a sand cape suitable for swimming during the dry season. During the rainy season, especially during Pchum Ben, many Cambodians gather there to play Chaol Teuk Leak on the river. The game can be dangerous, however, because it is often played while in small boats. Pursat offers a relatively easy way to enter this fantastic ecological wonder, the massive Cardamom Mountains. Accessing the central Cardamoms from Pursat is not too difficult as there is a road from Pursat to Veal Veng, a small village between the Mt. Samkos and Mt. Aural Wildlife Sanctuaries. There's really nothing to do but to take a drive through the country, to have a look at the mountains, and to talk to people who don't see many foreigners and that is even worth it. There's no organized transport from Pursat to this place, but if you ask around you should eventually get satisfactory results. Kampeng: located in Pro Ngil village, Pro Ngil commune, Kravanh district, about 20 kilometers from the provincial town. Phnom Dak Preah: located in Roleap village, Ro- leap commune, Pursat district, about 10 kilometers from the provincial town. Koh Sampeou Meas: located in front of the provincial hall in the middle of Pursat Island. It covers 2 hectares. Preah Theat: located in Sre Sdok village, Sre Sdok commune, Kan Deang district, about 20 kilometers from the provincial town. The sites in Pursat province cater mostly to local people who visit them, especially on holidays or during traditional festivals.